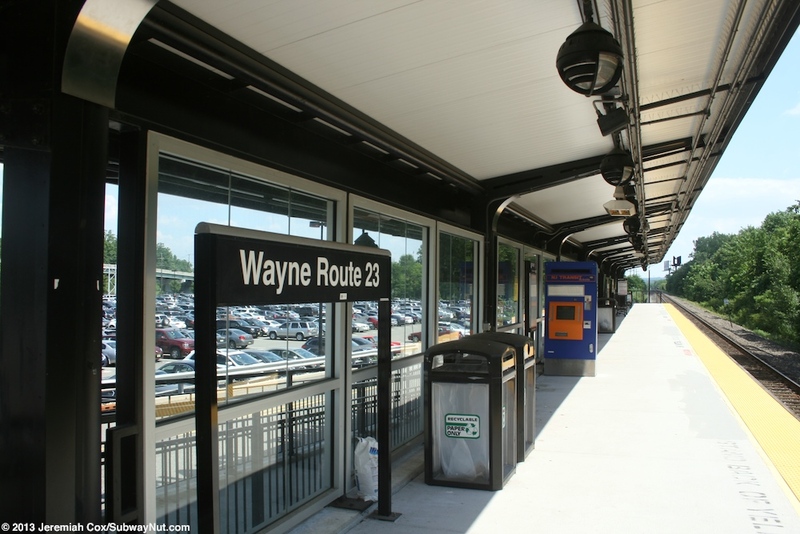 Wayne-Route 23 Transit Center is a new park & ride station that opened bus riders on Saturday January 12, 2008 and train riders on January 14, 2008. 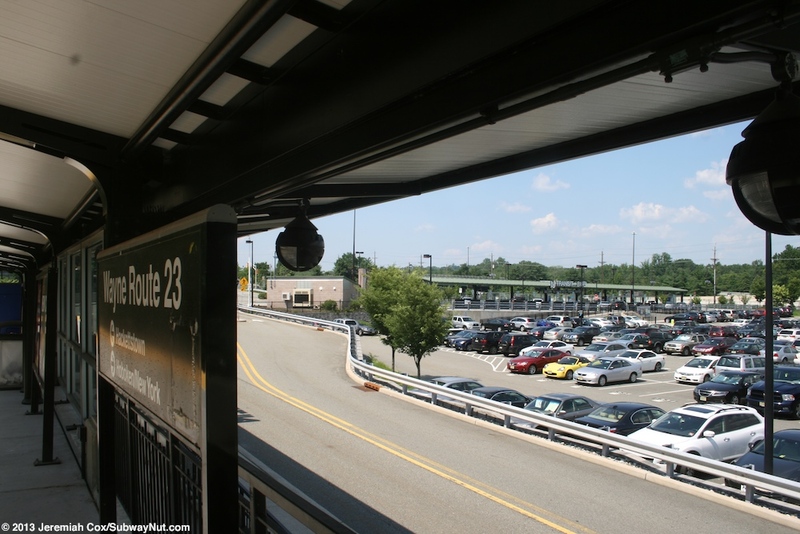 The transit center is entirely designed as a Park & Ride Station with a large 1,000 space parking lot just north of the interchange of I-80 and Route 23. 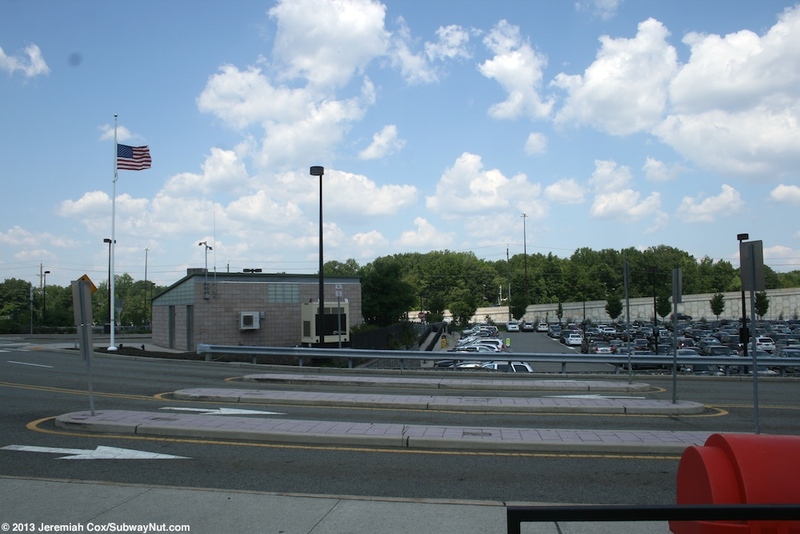 Sidewalk access is barely provided to the station via its one access road from Westbelt (that has a clover leaf interchange with Route 23) before the sidewalks completely end. 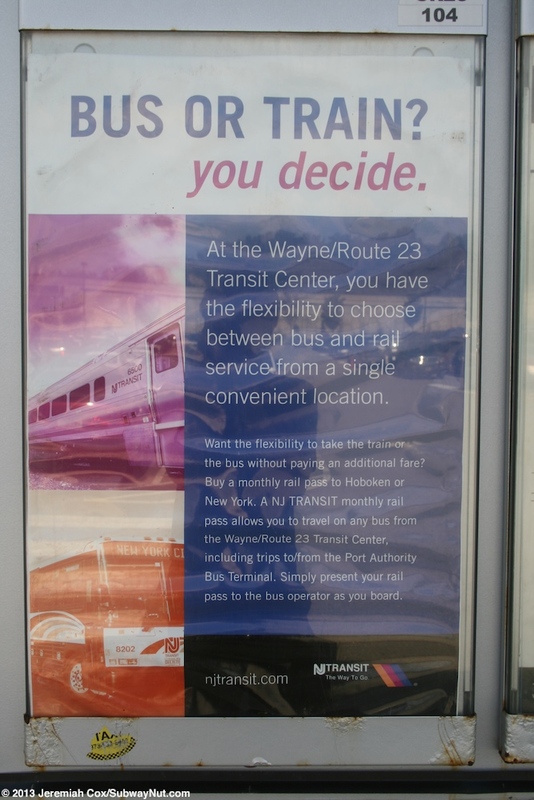 Transit service to the station is primarily provided by express buses to and from the Port Authority Bus Terminal. 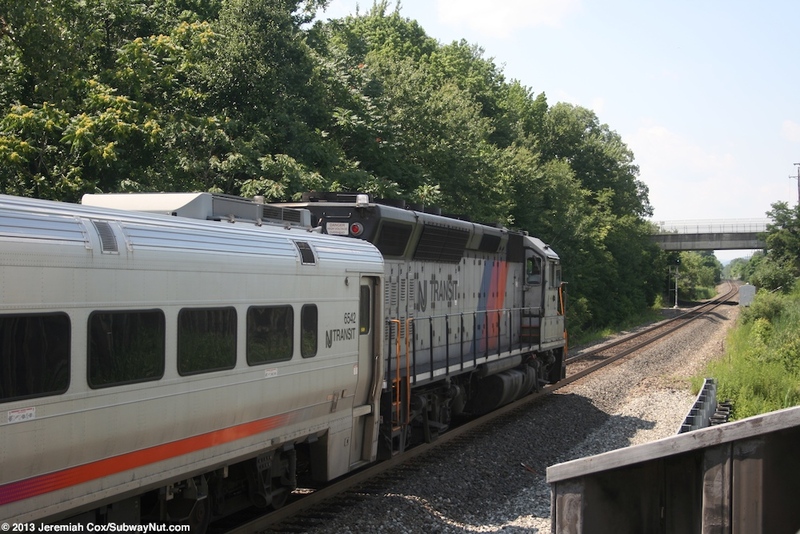 These provide all day and weekend service to the station hourly or better. Train service is limited. 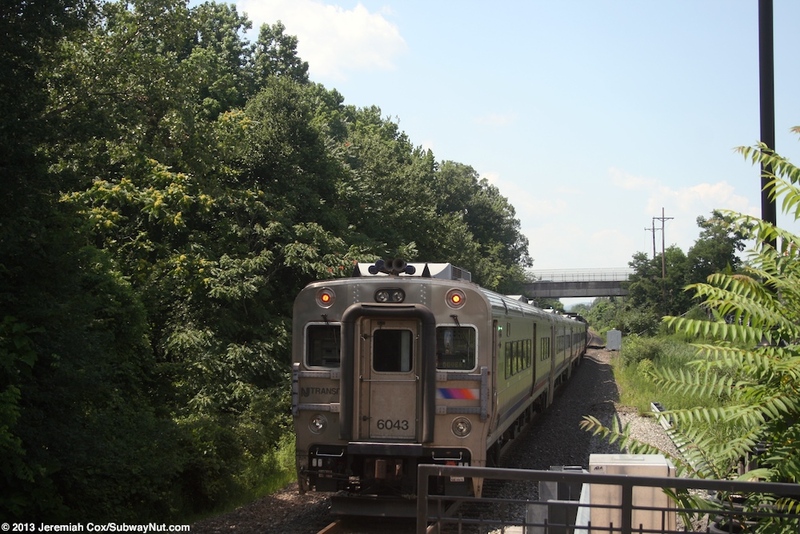 The station is on the diesel portion of the Montclair-Boonton Line that only runs during during weekdays peak direction to and from Hoboken only with 5 inbound trips during the AM and 10 returning trips during the PM rush hour and through the evening (this indifference is fixed because there are more inbound trips that run via the Morristown Line). 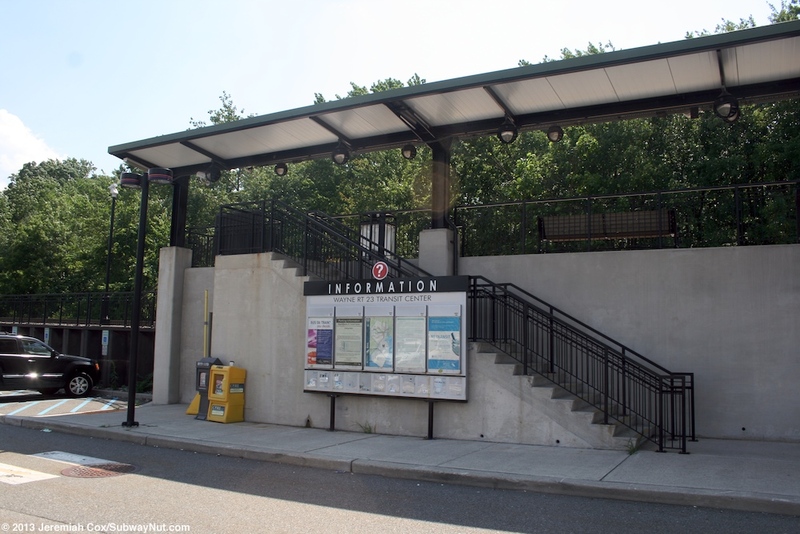 The modern station was built with information displays with departure monitors listing all bus trips that stop and the station and Departure Vision on the rail platform showing the very limited Montclair-Boonton Line rail service. 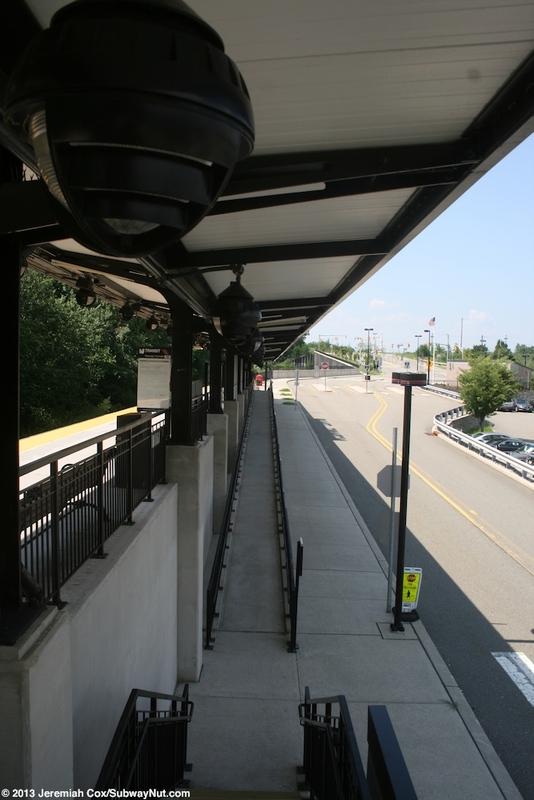 The station has distinctive areas with the rail platform along the western side of the large parking lot and the bus platform along the northern side. 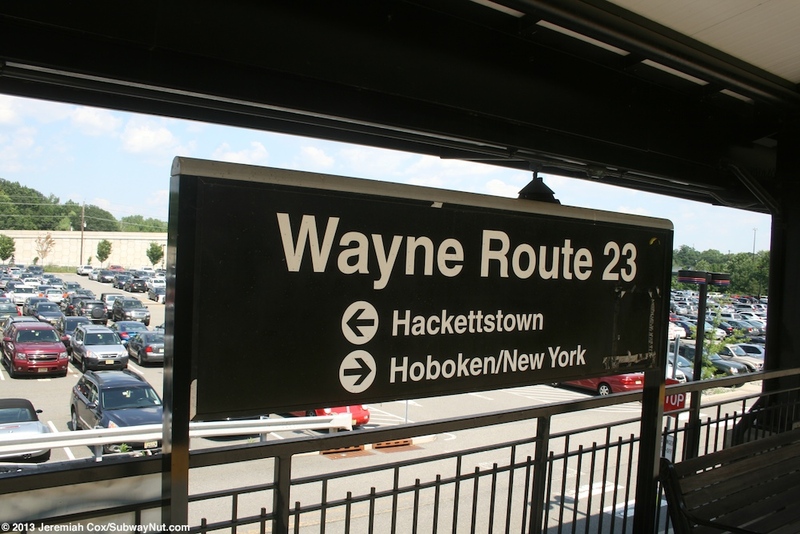 Each platform is marked by large white letters on their black canopies that say NJT Bus or NJT Trains to help guide riders to the respective modes. 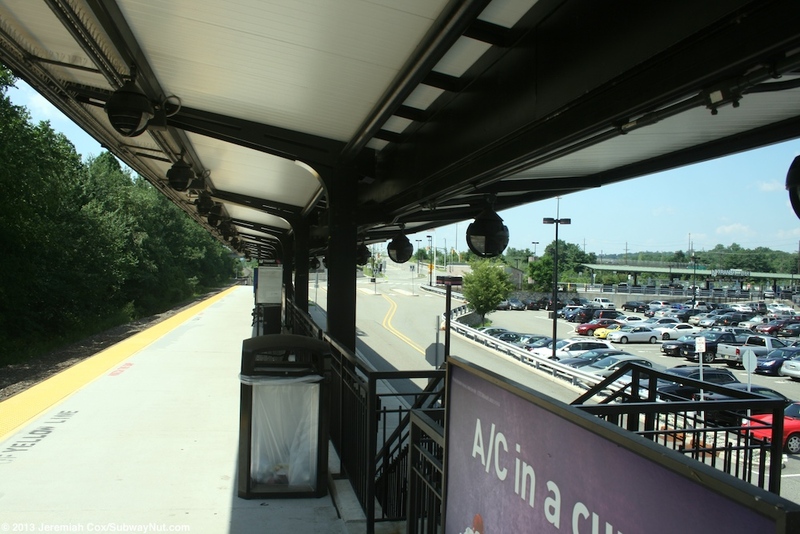 For trains there is a single high-level platform that can accommodate about 4 cars. 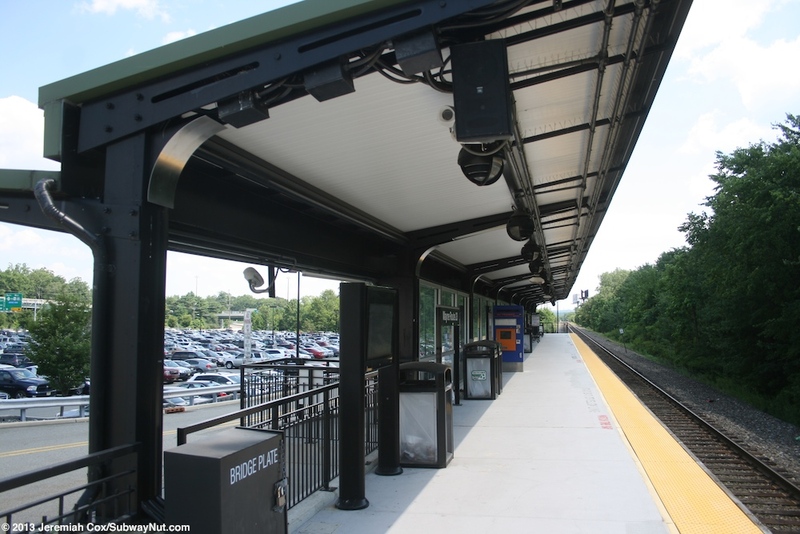 This platform has a black canopy except at its northern end. For waiting passengers there are a few benches with some protected by a low glass windscreen behind them. 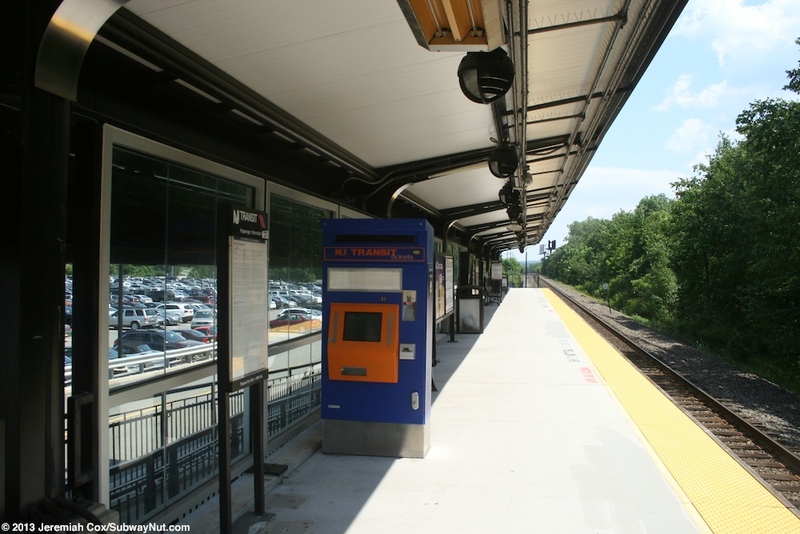 A couple TVMs are directly on the platform. 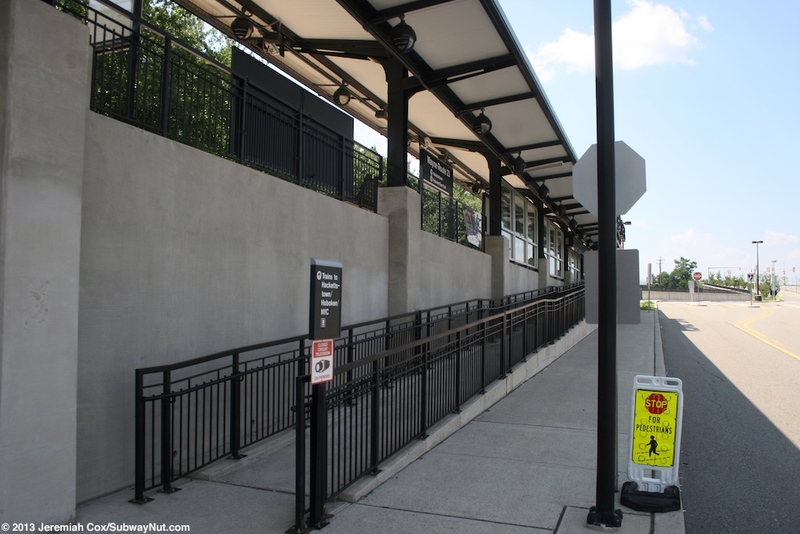 The platform is along the downwards sloping driveway that provides all access to the parking lot (trains cross under Westbelt a bit north of the station.) 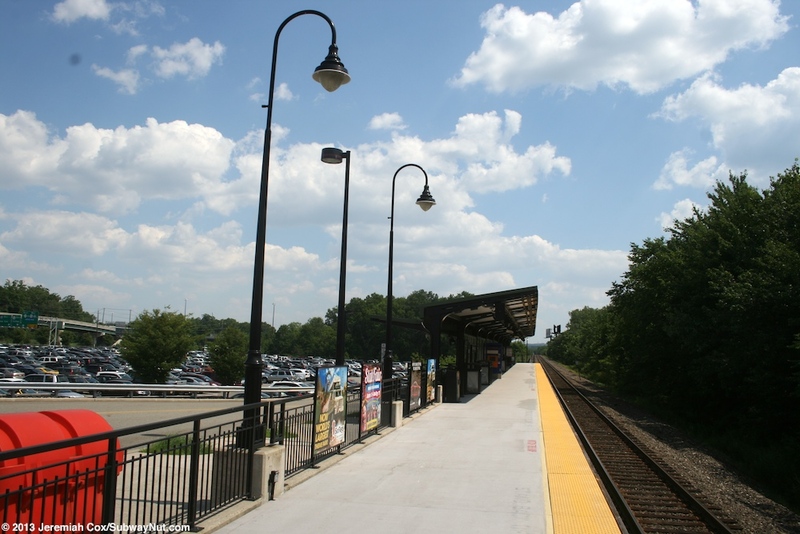 The northern end of the platform is at the same level as the sidewalk of this road and there is a level entrance to the high-level platform. 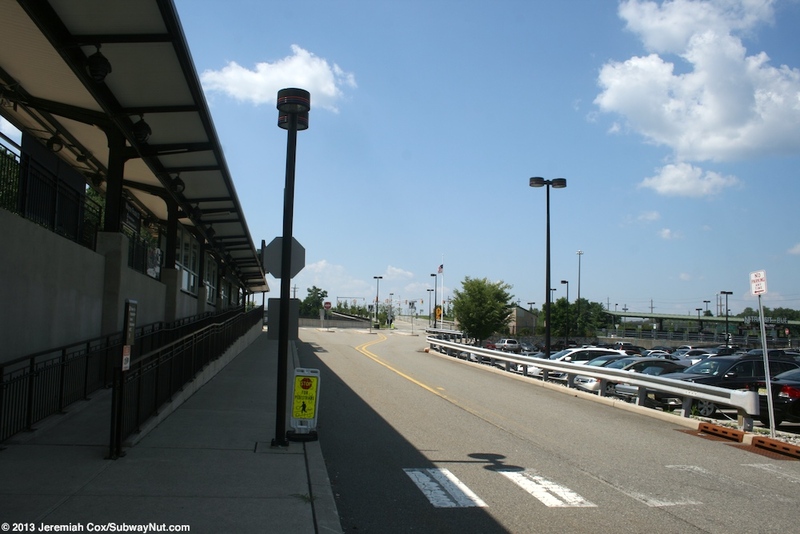 The access road here splits into four lanes with one lane in each direction with dedicated Kiss & Ride lanes for dropping off passengers. At the southern end a staircase and ADA ramp that takes up a good portion of the platform (and is covered by the platform's canopy that extends beyond the edge of the platform and over it) that lead up from this entrance. 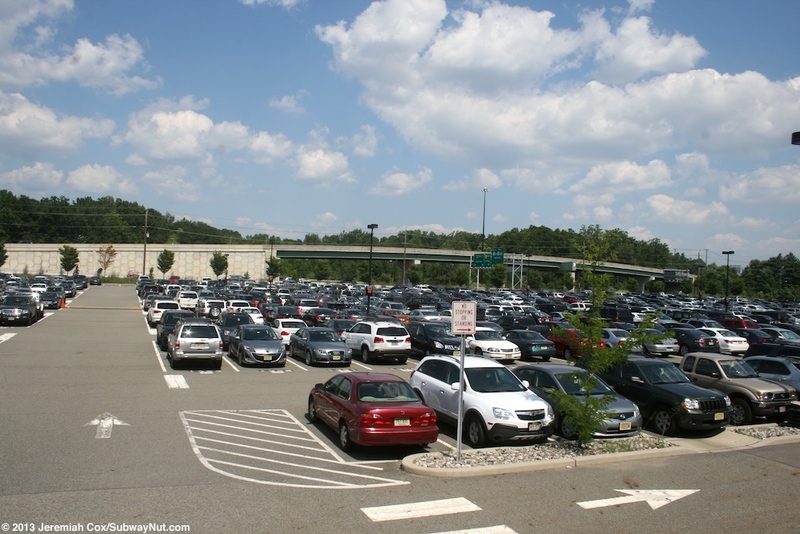 Buses get a line of bus stops and their own bus loop above the northern end of the parking lot. 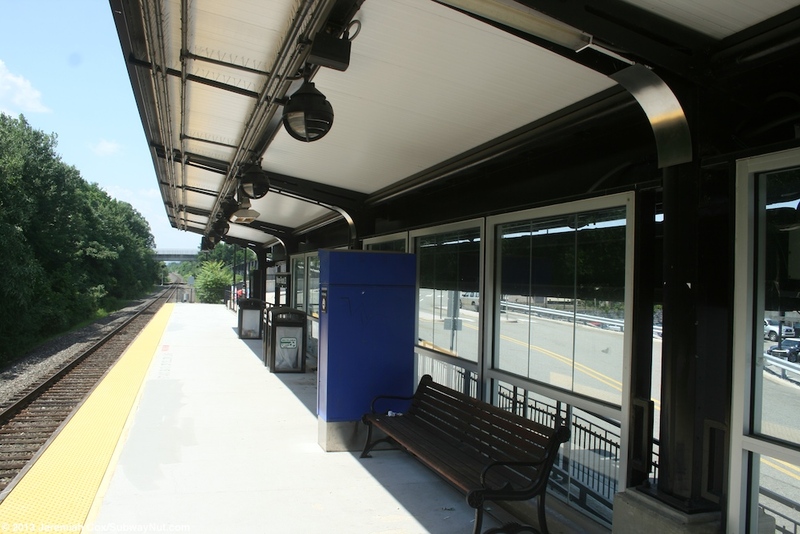 The stop for bus passengers looks similar to the rail platform with a black canopy and windscreened benches. 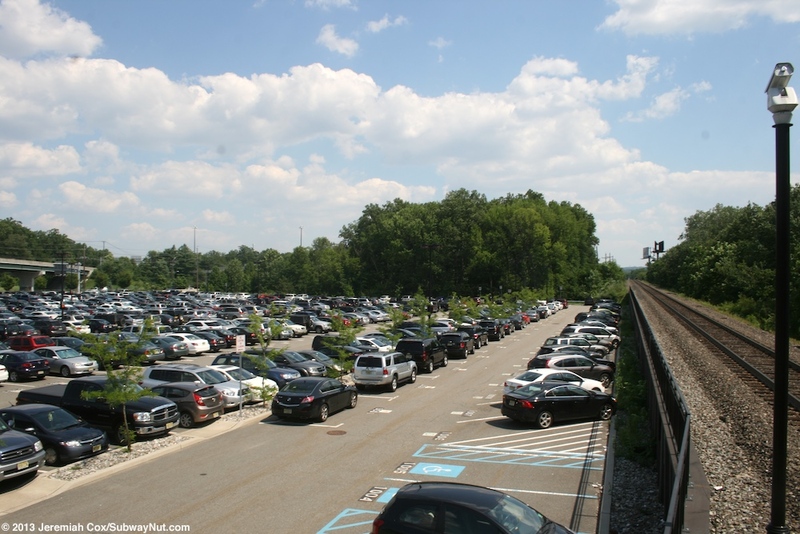 Along it is a line of ADA parking spaces (there are also some directly beneath the rail platform) before a crosswalk leads to a staircase and ramps down to the main parking lot below. 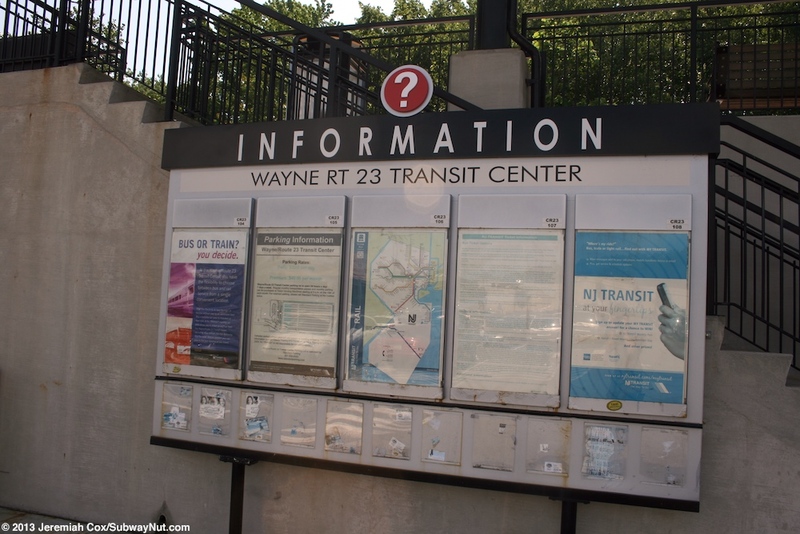 At the entrance to the station by the bus loop is an information panel with the history of the railroad in Wayne and Radiant Motion by Chirstopher Spath. It is a granite and glass column that forms a beacon for the station. There is also a small non-public shed that includes the dedication plaque on it. 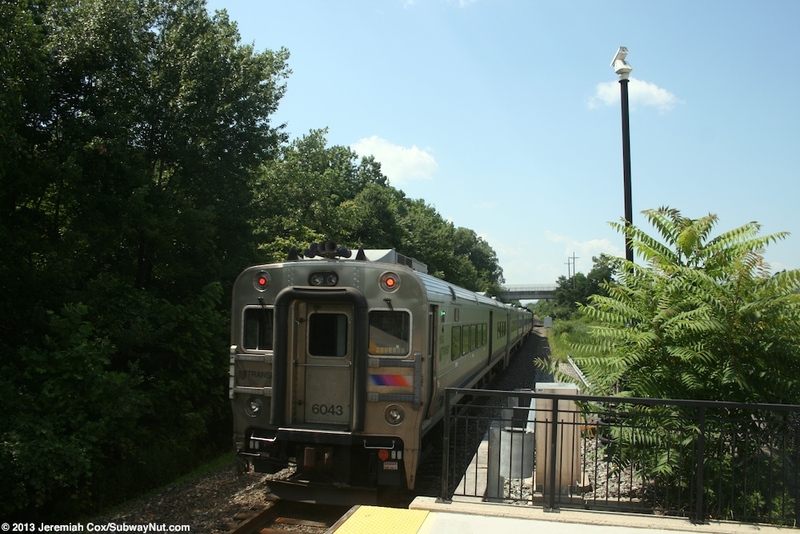 The station has both bus or train, what do you feel like taking today?